Think of scotch drinkers and what comes to mind? Probably visions of Brooks Brothers-clad 60-something white males, a market that has been quietly and rapidly disappearing to the disillusionment of scotch marketers from here to Edinburgh. To turn the tide, Schieffelin & Somerset, the U.S. importers of Dewar's, came to Cataldi PR for an edgy idea that would contemporize the brand by appealing to tastemakers in their 20 and 30s, while also capitalizing on the somewhat staid traditions for which scotch is best known. 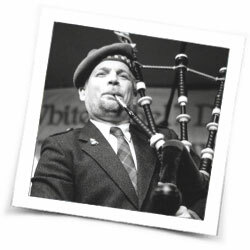 To meet these seemingly contradictory objectives, we created The Dewar's Bagpipe Festival, a two-night music festival that proved rock, jazz, blues and avant-garde music, as well as the traditional folk, could be performed on Scotland's favorite instrument. 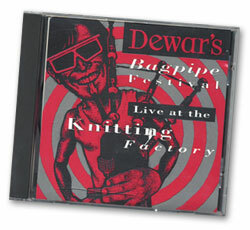 The Dewar's Bagpipe Festival took place at the Knitting Factory in downtown NYC, the world's influential club dedicated to adventurous new music. Eight acts from the U.S., Canada, Scotland and the local new music scene were enlisted to perform. Among the luminaries: noted minimalist composer Yoshi Wada, the bagpipe- led jazz quartet of Lindsay Horner and Scotland's legendary Battlefield Band. To add even more surreal sizzle to this already outlandish package, we hired "Star Trek's own "Scotty" (actor James Doohan) to act as event emcee and media spokesperson. Proceeds from the sales of tickets and a live CD recorded at the event and marketed by Knitting Factory Works Records were donated to the National Trust for Scotland, a charity that preserves historic homes and lands in Scotland. The festival really caught the imagination of the press and the public, both young fans of adventurous music, older devotees of traditional folk and a few dozen people wearing Spock ears! More than 200 prospective ticket buyers had to be turned away from this sell-out event each night. Glowing previews and reviews were featured in leading New York, national and international media: from The New York Times and The New Yorker to Musician Magazine and The London Daily Standard. All attendees were treated to a signature drink concocted for the event called appropriately enough, "the Beam Me Up." In addition to creating and publicizing the festival and the live CD, Cataldi PR developed print ads that appeared in The Village Voice and New York Press, and implemented ticket giveaway promotions with four area radio stations. We also produced collateral material including t-shirts and street posters to pre-promote the event. The much-publicized spectacle served as the first blow in a campaign to re-brand Dewar's to a younger, hipper audience in New York, the world's capital of tastemakers. The awareness of the edgy event furthered the sales effort to re-introduce the brand to Manhattan's trendiest venues. The success of this much-chronicled event led the sponsor to hire Cataldi PR to execute two five-college tours with the concept.